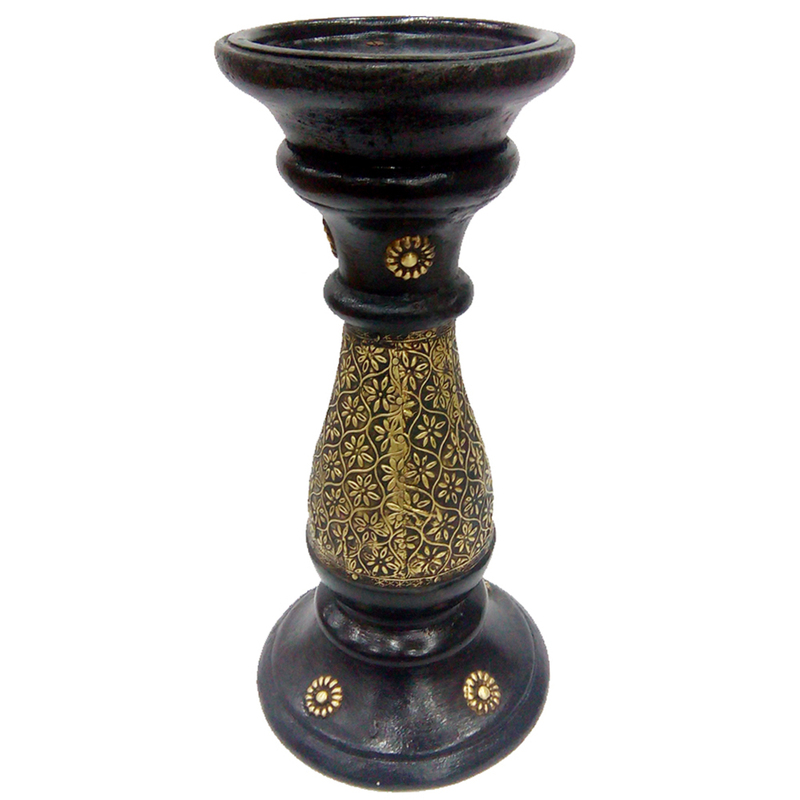 The Wood & Brass Candle Stand provides an interesting combination of metal and wood to appeal to the most discerning of buyers of home décor Read More..products. The dark shade of the wood complements the metallic tan of brass to provide a candle stand worthy of appreciation because of its classy presence. This metal and wood candle stand is sure to add to the visual opulence of even the classiest of home interiors through its sheer presence. Show Less..